Is there anyone out there who isn’t instantly comforted by the thought of a nice warm bowl of soup? Here are a few easy, appealing vegan soups that can become the favorites of kids and teens. Even kids who balk at vegetables may be more likely to enjoy them when enveloped in a tasty broth. See also Creamy Corn Chowder in Tofu 101. 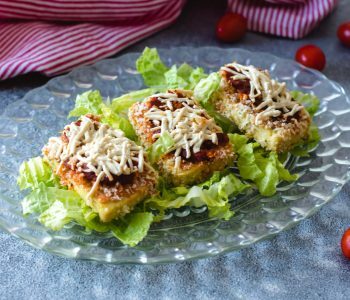 And make sure to explore the entire Veg Kids and Teens page on VegKitchen for lots of easy, healthy recipes for vegetarian and vegan kids and teens. 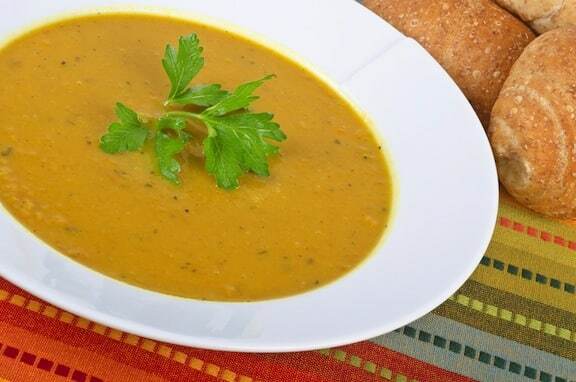 Nutritious sweet potatoes need little embellishment to make a flavorful soup. This one is made extra easy by baking or microwaving the sweet potatoes ahead of time, sparing the cook from having to and dice them. Just scoop, mash, and heat for a comforting, nearly-instant soup. See photo, above. Bake or microwave the sweet potatoes until very easily pierced with a knife. When the sweet potatoes are cool enough to handle, cut each in half, scoop them out of the skins, and transfer to a bowl. Mash well. Combine the mashed sweet potatoes in a soup pot or large saucepan with the remaining ingredients. Stir together, then heat slowly until the mixture comes to a simmer. Cover and simmer gently for 5 minutes. If the soup is too thick, add more nondairy milk. Taste to adjust seasonings. Let the soup stand off the heat for an hour or two, then heat through, or serve at once. Top with any of the suggested garnishes, if you’d like. This soup gets a thick, creamy base from pureed white beans or tofu. Either way, it’s a comforting and nourishing soup. Heat the oil in a small soup pot and add the onion. Sauté over medium heat until golden, about 5 to 7 minutes. Add the broccoli, bouillon cube, and 2 cups water. Bring to a slow boil, then turn down the heat, cover, and simmer gently until the broccoli is tender but not overcooked, about 8 to 10 minutes. Transfer the solids to a food processor or blender (reserving some of the broccoli florets), and add the beans. Puree until smooth, then transfer back to the saucepan. Remove the reserved broccoli florets to a cutting board and chop finely, then transfer back to the soup pot and stir into the puree. 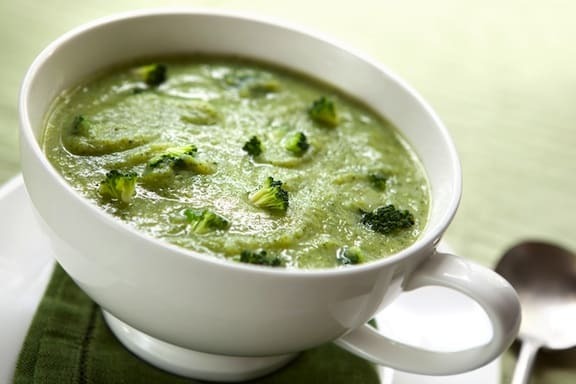 Or, instead of transferring to a food processor, simply insert an immersion blender into the soup pot and puree until fairly smooth, leaving a bit of texture from the broccoli florets. Add enough nondairy milk to give the soup a medium-thick consistency. Stir in the dill, then season with salt and pepper. Cook over very low heat for 5 minutes, then serve. This quick and colorful soup will please anyone who enjoys Asian flavors. Just toss everything into a soup pot and in a few minutes, it’s done! Try enticing kids and teens with this simple soup. Serve with an Asian-flavored rice or noodle dish and veggie spring rolls for a fun meal. 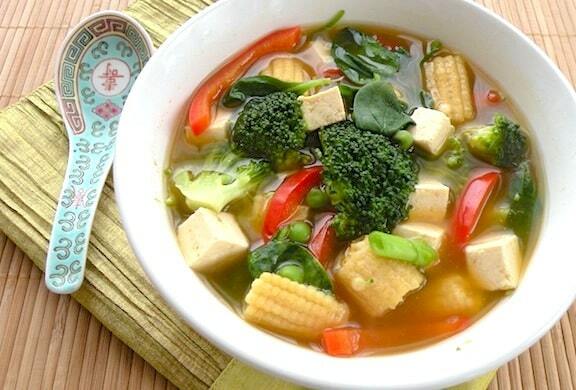 Combine the broth, baby corn, and optional ginger in a small soup pot and bring to a simmer. Add the bell pepper, broccoli, peas snow peas, and tofu. If the broth looks too crowded, add 1/2 to 1 cup water. Return to a rapid simmer. Stir in the scallions and spinach and remove from the heat. 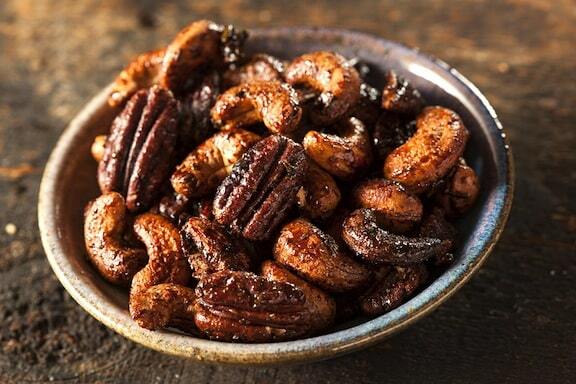 Season with salt or soy sauce and pepper; cover and let stand off the heat for 5 minutes. Then, serve and enjoy! This soup is best eaten right away, when the veggies are still slightly crisp and brightly colored. Variations: This soup is so flexible. 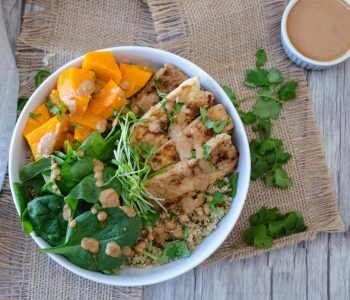 Substitute sliced mushrooms for the baby corn; bok choy for the broccoli; or just clean out your vegetable drawer and use what you have on hand. For extra flavor, add some chopped cilantro, a splash of lime juice or rice vinegar, and/or your favorite hot sauce, like Sriracha. 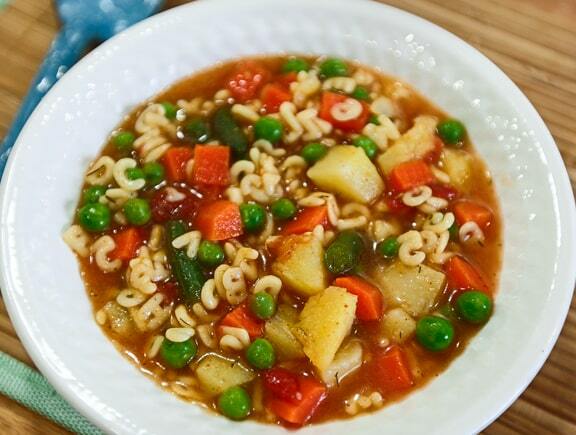 Make sure to link through to our Alphabet Soup, a very kid-friendly choice! My teenager is a conscious eater. Maybe I can suggest these recipes to her and let her cook for us too. Thanks for sharing! Great soup ideas for helping busy career family plan healthy meals for the week. Thanks for sharing! What are you looking for, Ada? Perhaps I can help you find it on the site. Hey, lovely assortment of soup recipes you have got here. Would like to try some out, but realized that I can’t seem to find rice milk in any of the stores here. Are there any other names that it is known by or is there any substitute that I can use? 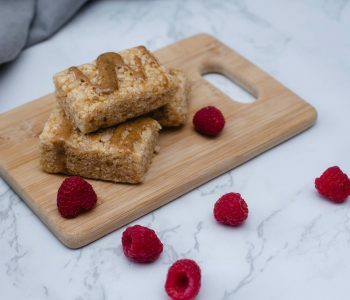 Hi — I updated this post so that the recipes can use any kind of plain unsweetened nondairy milk. Enjoy!